Tesla Motors Inc (NASDAQ:TSLA) suffered the first big loss in its multi-state bid to defend its retail model when the head of the Virginia Department of Motor Vehicles declined to grant it a special exemption that would have let it operate a dealership in the state. 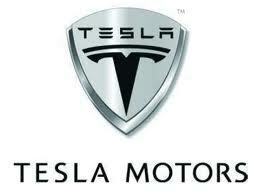 Tesla Inc. CEO Elon Musk tweeted the news Tuesday, saying it was “not all good news” for his electric car company. “The Virginia DMV Commissioner just denied Tesla a dealer license, despite the Hearing Officer being in favor of it,” he tweeted. At issue was a state franchise law that prevents auto manufacturers from owning the dealerships that sell their cars, requiring them instead to work with local franchisees. As we’ve previously reported, most states have such laws, and Tesla has run afoul of local dealership groups as it follows a retail model reminiscent of the Apple Inc. (NASDAQ:AAPL) store. The House Business and Industry Committee advanced a bill on Tuesday that would allow Tesla Motors Inc (NASDAQ:TSLA) to circumvent the state’s franchise dealer system and sell cars directly to Texans, giving a shot in the arm to the company’s efforts to operate in the state. Tesla says an exemption from the franchise dealer system is the only way the company can operate successfully in Texas, but the owners of state auto dealer franchises have objected, saying the effort weakens a business model that has been key to their success. House Bill 3351, by state Rep. Eddie Rodriguez, D-Austin, was replaced by a committee substitute that offered auto dealers another layer of protection: If Tesla ever sells more than 5,000 cars a year in the state, it will become subject to existing regulation and must start to franchise its operations. Options traders may be gambling on even more record highs for Tesla Motors Inc (NASDAQ:TSLA), as evidenced by Tuesday’s appetite for short-term calls. By the closing bell, the electric car maker saw roughly 69,000 calls cross the tape, more than tripling its average single-session call volume. On the flip side, just 15,000 TSLA puts were exchanged. Digging deeper, traders established new positions at the May 60 and 65 calls, which saw open interest swell by around 1,700 and 2,000 contracts overnight, respectively — the most of any strikes. A healthy portion of the newly front-month calls changed hands on the ask side, hinting at extremely bullish, buyer-driven volume. The economic recovery we keep hearing about may not feel like much of a recovery for most of us, but Wall Street is riding high on a wave of optimism, especially in the car industry. One of the unlikely heroes of the Wall Street comeback is Tesla Motors Inc (NASDAQ:TSLA), whose shares hit a record high of $53 this week. But will the wave last? Yesterday morning Tesla shares briefly went over $53 a share, about three times the initial public offering price of $17 a share when Tesla went public back in June of 2010. Shares of Tesla are up 50% this year alone, with Model S production chugging along and CEO Elon Musk finally reporting a (very small) profit. After years and years of blowing through millions of dollars, Tesla finally seems as though it can stand on its own two feet as a car company. As of this writing, Tesla stock is trading for about $50 a share. Nissan Motor Co. (7201) is joining General Motors Company (NYSE:GM) and Tesla Motors Inc (NASDAQ:TSLA), the largest U.S. sellers of rechargeable autos, in promoting the money-saving benefits of battery-powered cars over saving the planet. Nissan is readying new advertisements for the 2013 Leaf hatchback to expand its appeal beyond environmentally conscious drivers who’ve bought the car since it debuted in 2010, said Eric Gottfried, director of sales and marketing for the car. A campaign with “more-practical messaging” builds on a $199 per month lease offer that aided sales last year, he said. Apple Inc. (AAPL): 4 Revealing Comments From Today’s Q&A Session Apple Inc. (AAPL), Corning Incorporated (GLW): Technology, Growth, and Dividends... Apple Inc. (AAPL): Is a 12 MP Camera a Game Changer for iPhone 5S? Apple Inc. (AAPL): Reports of Its Demise Have Been Greatly Exaggerated What Were Apple’s Earnings? Facts, Figures, Quotes Apple Inc. (AAPL): This Next Round of Cash is On Us!